The wearing of seatbelts for all drivers and passengers was made mandatory in Victoria in 1970, the year we recorded our highest number of road deaths ever at 1061 deaths. Seatbelts reduce the amount of injuries to a vehicle's occupants, as most injuries are caused by impact with the steering wheel, dashboard, windscreen or the sides and roof of a vehicle. Seatbelts also help prevent vehicle occupants from hitting or injuring others in the vehicle. Three point lap-sash seatbelts with pre-tensioner technology provide the best protection in the event of a crash. These seatbelts go over the waist and the shoulder of the occupant, providing better protection than those that go over the lap only. Pre-tensioners tighten and reduce slack to protect occupants from rapidly moving forward in the event of a crash. Wearing a seatbelt doubles your chance of surviving a serious crash, yet even today too many people aren't taking the time to put their seatbelt on. 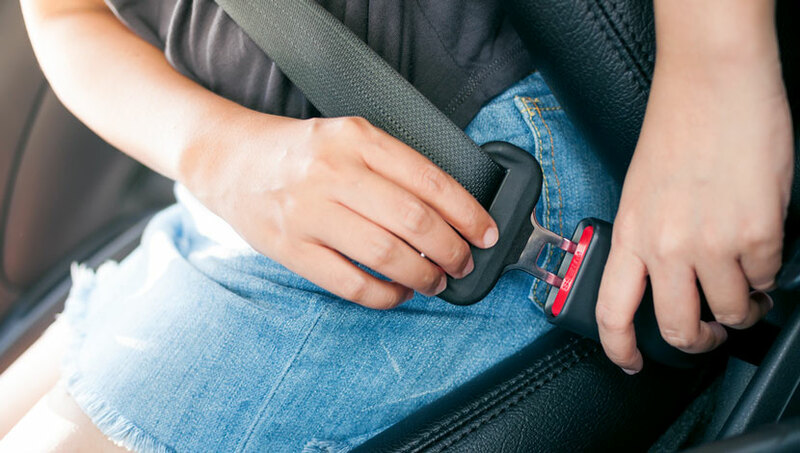 In around one in five (22%) of driver and passenger deaths on Victorian roads in the past five years seatbelts were not worn. In crashes where alcohol or drugs were involved, many drivers or riders weren’t wearing seatbelts. Find out more about seatbelt safety.